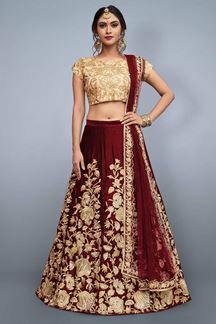 Allure with this immaculate designer lehenga choli set featuring a deep red skirt done up all over the span in floral gold zari accentuation while the choli is a contrasting gold one with self zari designs all over in an eternal charm! 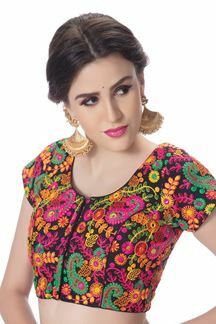 This lehenga choli set is accompanied with matching net dupatta. Note: Color may slightly vary due to digital photography.